I'm taking veterinary classes and doing some art. I love to help people here but I am still learning! Art, writing, ♡reptiles♡, ceramics, (veterinary) science, and GU! 11:37 PM - PoppyDear mentioned Zux in post Moving With a Mini Zoo! 02:24 PM - PoppyDear quoted timecraze in post Possible slight ES (Enigma Syndrome)? Other neurological issue? 11:50 PM - Spyrofan1 quoted PoppyDear in post Giant Leopard Gecko? 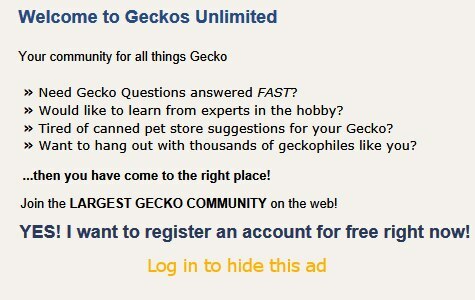 08:38 AM - Spyrofan1 quoted PoppyDear in post Giant Leopard Gecko? 06:44 AM - PoppyDear quoted Hilde in post When to start humidity cave? 12:05 AM - Hilde quoted PoppyDear in post When to start humidity cave? 10:39 PM - libradragan quoted PoppyDear in post Help With Morph ID ? 04:09 PM - PoppyDear quoted Ryan&Renegade in post Is there something wrong with my gecko??? 04:22 PM - shannonnicole99 quoted PoppyDear in post Female Leopard gecko bleeding every time she goes to the toilet. 09:14 PM - taratheadora quoted PoppyDear in post Juvenile leopard gecko behavior change, help?